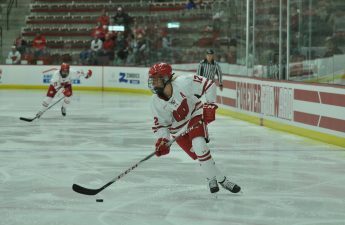 The University of Wisconsin women’s hockey team has undoubtedly enjoyed a dominant season up to this point. With a No. 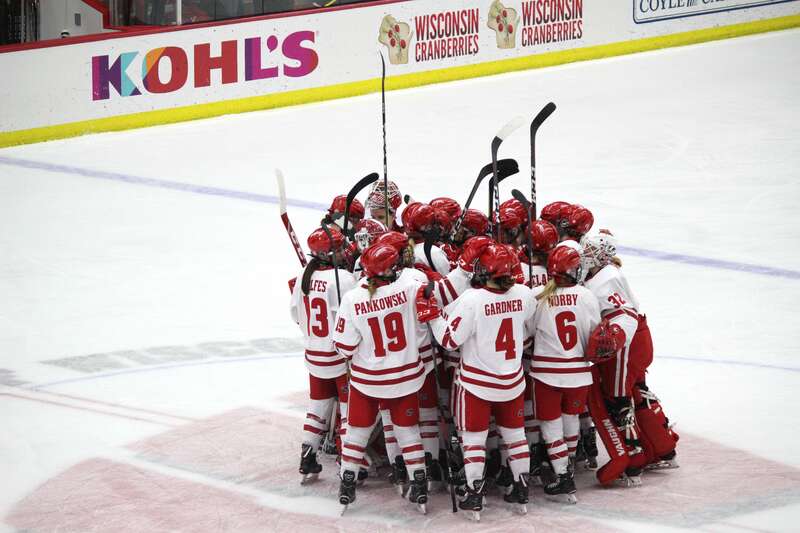 1 national ranking, impressive wins over top-ranked teams, and a second-place standing in a stacked WCHA conference, there is few arguments against the strength of this year’s Badgers. Yet the ultimate goals of the Wisconsin program stretch beyond a standout regular season — the Badgers must have a strong postseason performance to truly satisfy their expectations. More explicitly, a national championship is the end goal for an already dominant Badger hockey team, given the program’s winning tradition. Given their performance in 2018-19, it makes sense to believe the Badgers have a clear path to the national championship and a strong chance at taking home the title. But how does this season compare to championship seasons that the Badgers have enjoyed in the past? The Badgers captured their first program national title in 2005-06, a season in which the team enjoyed an exceptional regular season. Suffering just four regular season losses, two of which were against teams ranked in the top-five, Wisconsin clearly established themselves as a contender for the national title. Unlike the championship seasons to come, the 2005-06 Badgers had some blemishes on their record that brought into question whether or not they would be able to string together wins over top ranked opponents as needed to win a title. Ultimately, however, Badger goalie legend Jessie Vetter was able to nearly singlehandedly lead the team to victory that season, only allowing an astounding three goals in their final 10 games of the season. In the 2006-07 season, Wisconsin dominated nearly every single opponent they faced in the regular season and playoffs. Accruing a record of 31-1-4, the Badgers put on a brilliant performance from start to finish. Even if this year’s team were to win every remaining game on their schedule, they still wouldn’t match the 2006-07 team’s winning percentage. Furthermore, the 2006-07 Wisconsin team had a winning regular season and WCHA tournament record over Minnesota-Duluth, the team that they would eventually face in the NCAA Frozen Four Final. Moving to the 2008-09 season, the Badgers captured the title after a three-loss season that also included five ties against ranked opponents. The current Wisconsin team already has three losses, yet they have managed to win more games and avoid ties, unlike the 2008-09 team. While the Badgers faced Mercyhurst for the first time in the Frozen Four final that year, they failed to beat their Frozen Four semi-final opponent — Minnesota-Duluth — all regular season. The Badgers had a shaky regular season performance against Minnesota-Duluth and other teams that they would ultimately have to overcome in order to win the national title. Despite the setback, they managed to come out on top and leave Boston with a championship trophy to bring home to Madison. Finally, in the Badgers’ most recent championship season of 2010-11, the team registered a tremendous regular season record, losing only two games to finish with a 37-2-2 record. None of the teams that Wisconsin managed to defeat in the regular season, however, appeared in the Frozen Four. Thus, the Badgers had a more dominant regular season than this year’s team, yet faced an easier path to the title. Despite facing what would turn out to be a relatively weak regular season schedule compared to their postseason opponents, the Badgers were uplifted by record-setting performances from then-senior Meghan Duggan. Without this late-season push, it’s entirely possible that the success of those Badgers would have been limited to the regular season. So, what does all this mean for this year’s Badger team? Well, to begin with, the 2018-19 Badgers have already suffered less than or the same number of losses as past championship teams. But perhaps the most promising aspect of this season has not been the number of wins and losses. Rather, it’s been the Badgers’ performances against top-ranked teams. The Badgers swept No. 4 Princeton earlier this season, split their two series against No. 2 Minnesota, and traded wins with No. 7 Ohio State. It has certainly been an as dominant, if not more dominant, performance against top-ranked opponents compared to past championship teams. Consider the 2008-09 season in which Wisconsin fell to Minnesota-Duluth before facing them in the Frozen Four. In contrast, the current Badger team has had a comparatively successful record against potential championship contenders. Furthermore, with their only losses of the season coming against juggernauts Minnesota and Ohio State, the Badgers have handled business against inferior teams who they should be beating with ease. 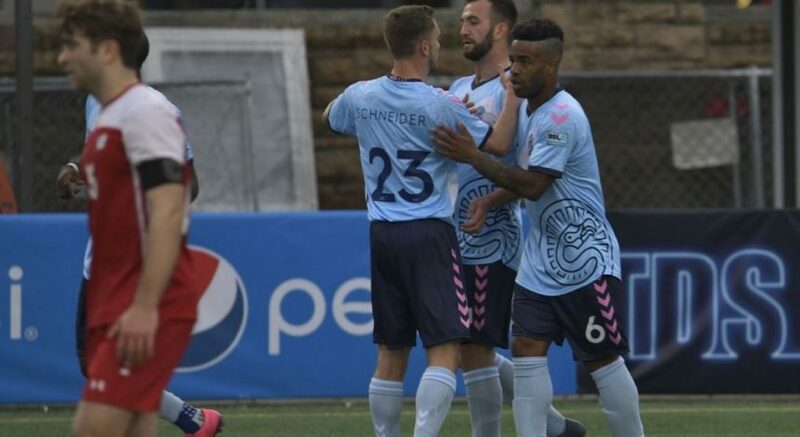 As far as individual talent is concerned, no specific team member this season has decisively led the team to victory the way that past legends have. The Badgers’ top-three point scorers — Abby Roque, Annie Pankowski and Sophie Shirley — are all within just three points of each other on the season. While no one skater has come to dominate offensively, junior goalkeeper Kristen Campbell has put on a performance to rival past Badger legends of the on the defensive end. With a 93.1 save percentage that trumps Vetter’s career percentage, Campbell has allowed the Badger offense to shine so much that the team now ranks second in the nation in goal differential. It’s impossible to predict the future of this season’s Wisconsin team, yet signs point to a team that has a clear potential to achieve great success in the postseason. But given the nature of the win-or-go-home NCAA Tournament, even one bad performance from the Badgers could prematurely end a promising season. The 2018-19 Badgers have demonstrated the ability to consistently overcome the best teams in the country. If the Badgers continue to play to the best of their ability and execute as they have done all season, a national title lays theirs for the taking.